Baltimore City Recreation and Parks’ CAMP BALTIMORE offers a variety of affordable and enriching summer camp options. Campers can look forward to a summer experience including academic enrichment, field trips, nature outings, sports and swimming. ONLINE CAMP REGISTRATION IS CURRENTLY OPEN CLICK HERE! The following 13 Camp Sites are available for online registration, Camps fill up fast so some locations may be to capacity. Participants can still be added to the waitlist for any one of the camps. We have a total of 41 camps sites for Camp Baltimore, all other sites require in-person registration. See the full list of campsites here. Interested in More Camp Options? Check out our camps geared towards kids with an interest in nature, exploration and sports! Please complete and return the attached Camper Health History Form and Maryland Department of Health form to the recreation center no later than 72 hours after registration. Upon turning in the attached forms you will be asked to present proof of residency. Acceptable proof of residency may be in the form of a utility bill, bank statement, driver’s license, income tax return, deed or rental agreement, proof of unemployment benefits, social security income, proof of guardianship or birth certificate. Failure to return the completed forms with proof of residency in the 72 hours after registration will result in the removal of the participant from all camp activities (including trips) without a refund for the camp registration fee. If you registered for summer camp but did not register for the accompanying camp trips session during online registration, you will be asked if you would like to register for the camp trips when you visit the recreation center. Campers miss 5 consecutive days without prior authorization or 10 random absences. A camper on the waiting list will be added to the camp roster (if they have completed registration) whenever a camper is dropped. There are paid trips for campers once a week during camp days. These trips cost $175 (for 8 trips) for City Residents and $450 (for 8 trips) for Non-City Residents. Parents can opt out of these paid trips but are responsible for finding alternative accommodations for their child on trip days. Parents/Guardians have 2 business days from day of initial registration (In-person and on-line) to bring in ALL required paperwork and fees or their children will be placed on the waitlist and the next person on the waitlist will be pulled onto the roster. 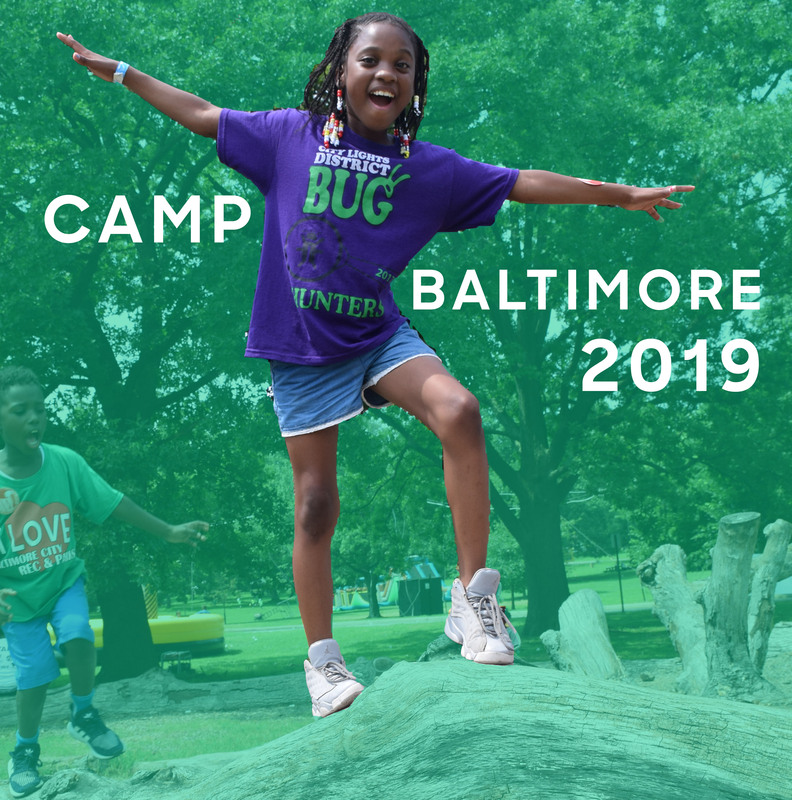 Camp Baltimore has 41 campsites across Baltimore, see the full list here!